Welcome to St Mawes in Cornwall, a small fishing village nestled at the end of the Roseland peninsula. St Mawes is a lovely place to visit and an even better place to live with a strong community spirit. Surrounded by the sea and gentle hills, St Mawes is quite spectacular! St Mawes and the Roseland Peninsula has plenty of accommodation available to holiday visitors ranging from clean & comfortable campsites to luxury boutique hotels, and of course oodles of the ever popular self catering range. There are a good number of pubs on the Roseland, most of which serve food. St Mawes has two pubs, the Victory & the Rising Sun, although the St Mawes hotel is more of a pub/bar than it is a hotel. Being in such a perfect waterside location the main activities for locals and visitors are watersports. Find local business services. Solicitors to builders, carpet cleaners, to electricians. St Mawes & Roseland is home to a number of businesses. Explore Falmouth by taking the St Mawes Ferry. A 20 minute journey across the beautiful Carrick Roads. Operates all year round. 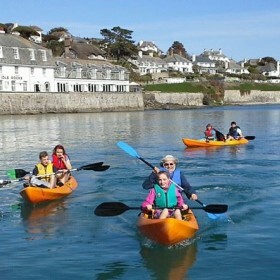 St Mawes is home to a very active sailing club with many local and national members. A popular stop off point before crossing the Atlantic. St Mawes sits at the end of the Roseland - a peninsula on the southearn coast of mid Cornwall and is home to many lovely villages. 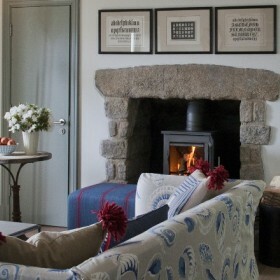 Find accommodation in St Mawes and on the Roseland Peninsula. Hotels, bed and breakfasts, guesthouses, campsites. 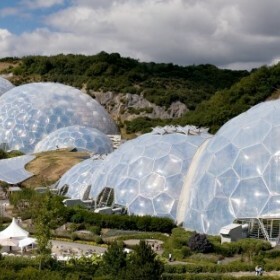 Cornwall is a county located in the south-western part of England, it borders Devon to the west, and the Atlantic to the east. 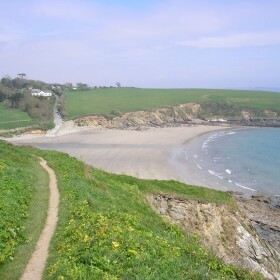 There are a number of beaches to be found on the Roseland Peninsula and most of them are relatively small and intimate. St Mawes in Cornwall, is a small fishing village located at the end of the Roseland peninsula, Cornwall. St Mawes, and other villages on the Roseland, such as Portloe, Portscatho and Portholland, have to be some of the most exclusive waterside villages within Cornwall, with plenty of activities and accommodation from self catering cottages to Hotels and bed and breakfasts. Being positioned within the gulf stream, the climate in St Mawes and on the Roseland Peninsula is very mild all year round and during the summer temperatures reach that of the Mediterranean, as a result there are beautiful local gardens throughout the Roseland with exquisite fauna and flora. St Mawes and the Roseland Peninsula, Cornwall and the surrounding area is a Mecca for the boating and yachting fraternity and St Mawes boasts three boatyards with numerous moorings and anchorages for visiting yachtsman in and around the Roseland Peninsula. 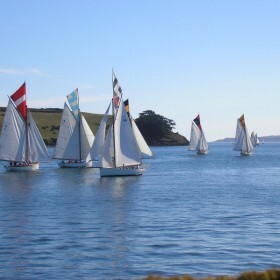 The local sailing clubs in St Mawes, Portscatho and Portloe are extremely active arranging racing events and evening functions for locals & visitors alike. 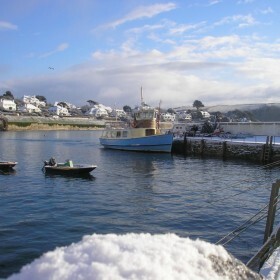 In July 2015 the village hosted the first 'St Mawes Boat Show', showcasing many local marine businesses.Of course being right on the seafront these villages are also a haven for the gastro enthusiast, with restaurants and pubs serving up superb fish and shellfish dishes all year round as well as the more traditional dishes. 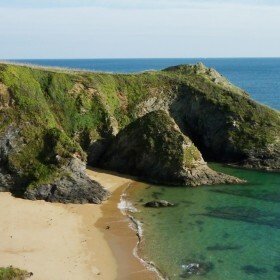 The Roseland is an extremely popular holiday destination and has a good amount of accommodation ranging from Hotels and bed and breakfasts, to self catering cottages and apartments. There are three hotels in St Mawes and seven others dotted throughout the Roseland such as the Lugger, in Portloe, The Rosevine in Portscatho and the Hundred House Hotel in Ruan. There are also many pubs, a handful of shops, and like the rest of Cornwall numerous self catering holiday cottages and apartments. It's advisable to book any accommodation in St Mawes and the Roseland well in advance as the villages do fill up very quickly. This is also true for the self catering cottage properties in St Mawes. St Mawes still has a working fishing fleet, albeit a bit smaller than years ago, that consists of about a dozen operators and who now have a wet fish shop open on the St Mawes harbour Quay. This is something that should be greatly appreciated, as currently the nearest fish shop is either in Falmouth or Truro, the County town of Cornwall. An increase in leisure boat ownership in St Mawes and Cornwall over the recent years, has led to a waiting list for moorings as there is only a finite number available. There are no plans to increase this number which from a conservation standpoint can only be a good thing. This website has been set up as a one stop point of information for the St Mawes and Roseland resident, Cornwall visitor, self catering cottage holiday home owner, boat owner, and tourist. The site contains a wealth of information on St Mawes, Portscatho, Portloe, Cornwall, and the Roseland Peninsula including accommodation, webcams, services, boating, restaurants & pubs, tradesmen and more. 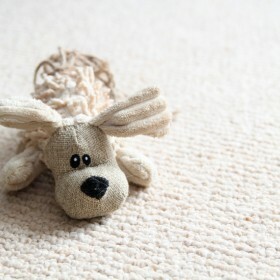 Come and visit St Mawes, you wont be dissapointed!